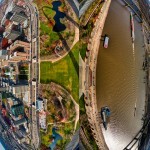 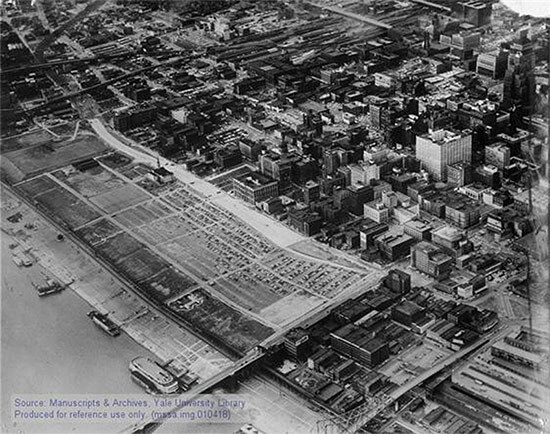 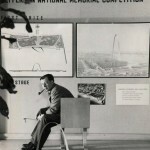 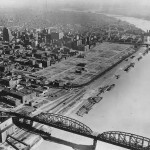 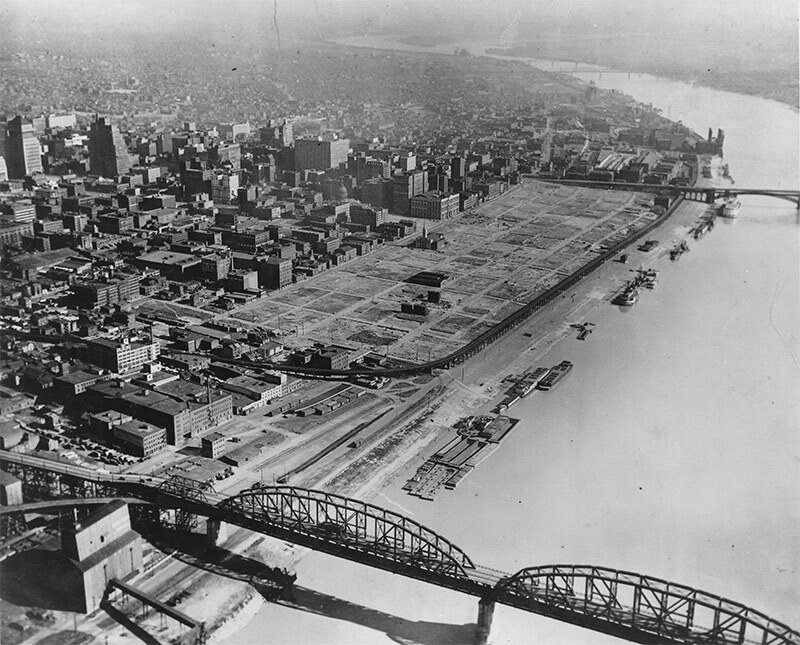 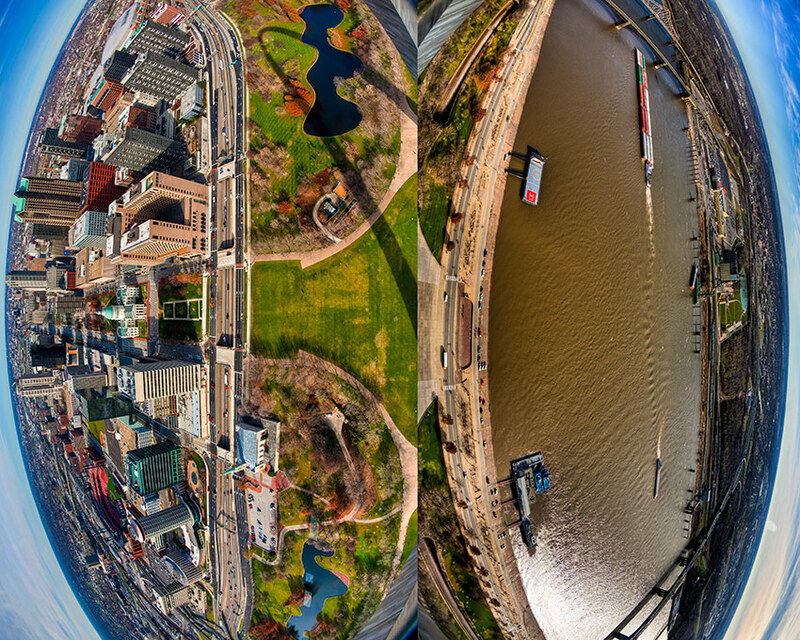 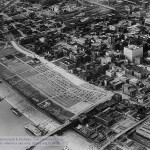 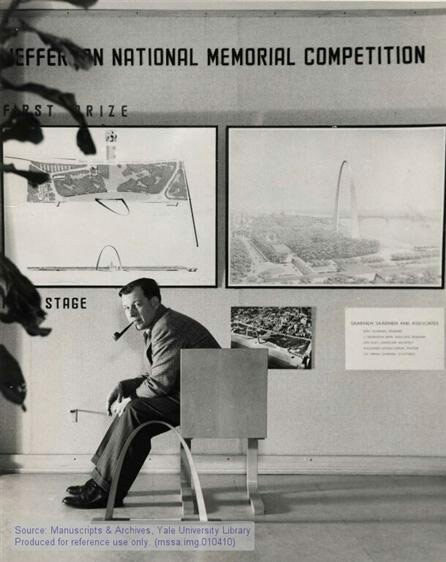 Fifty years ago, the St. Louis waterfront was one gigantic parking lot after 40 blocks of the city’s gritty industrial quarter were cleared in the late 1930s to create a site for a new Jefferson National Expansion Memorial. 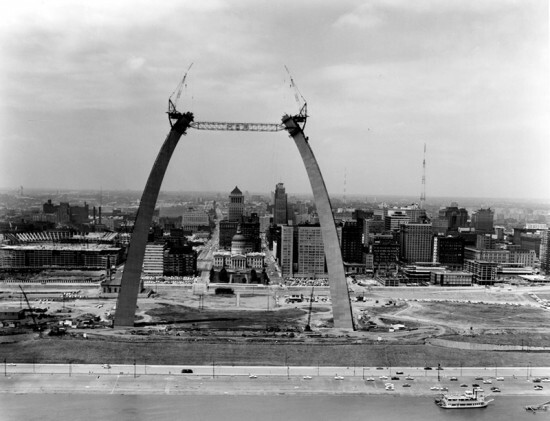 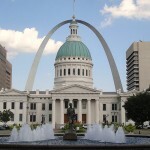 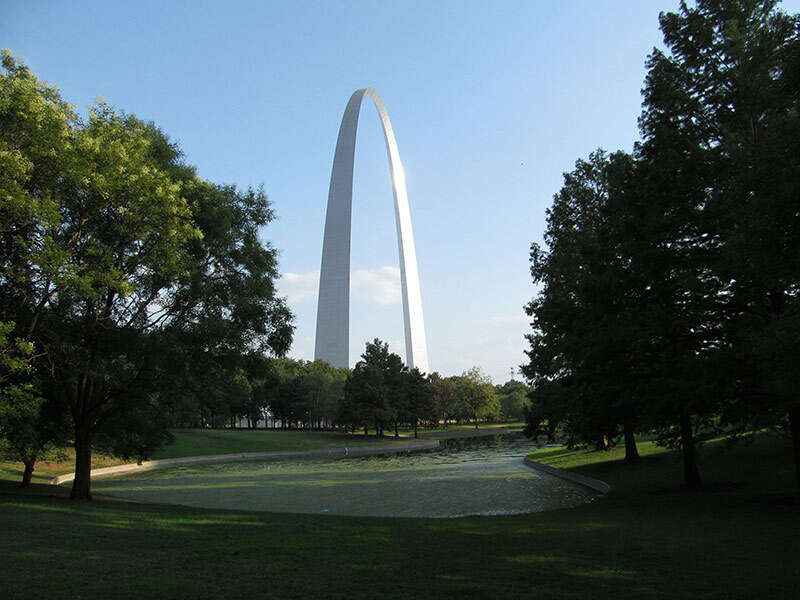 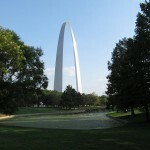 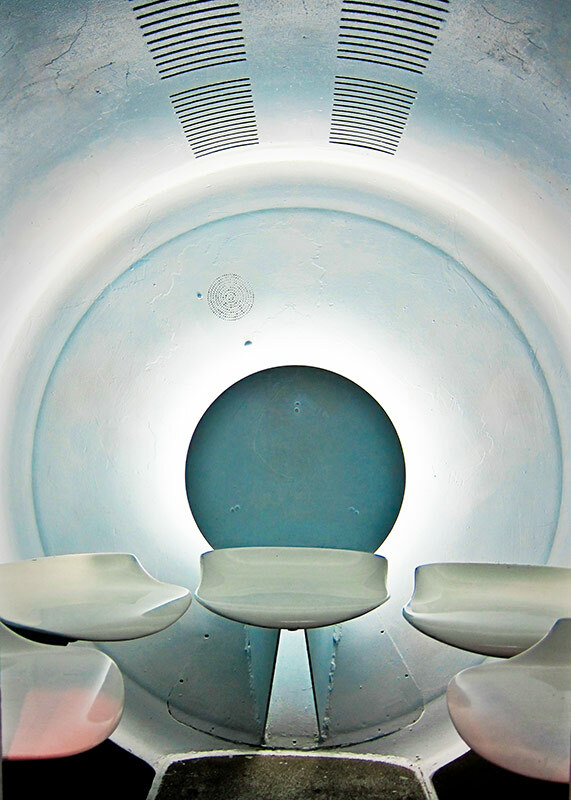 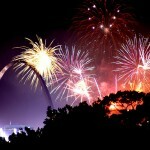 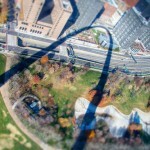 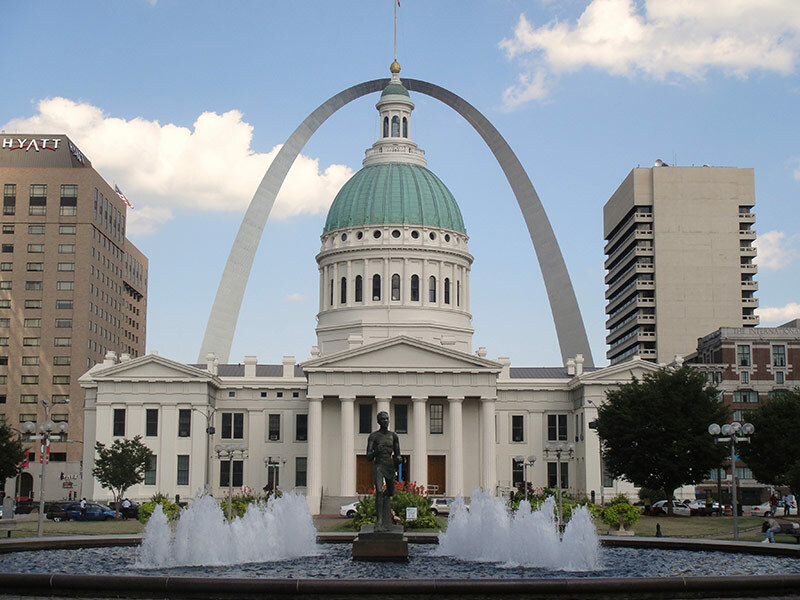 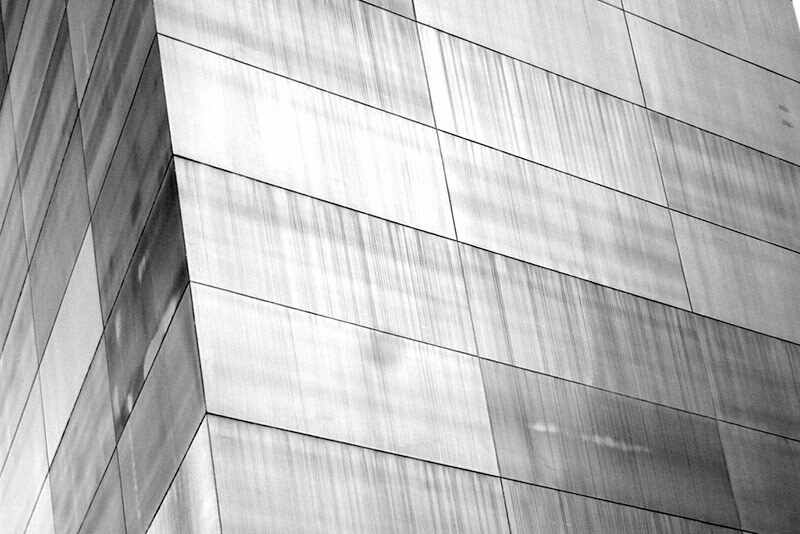 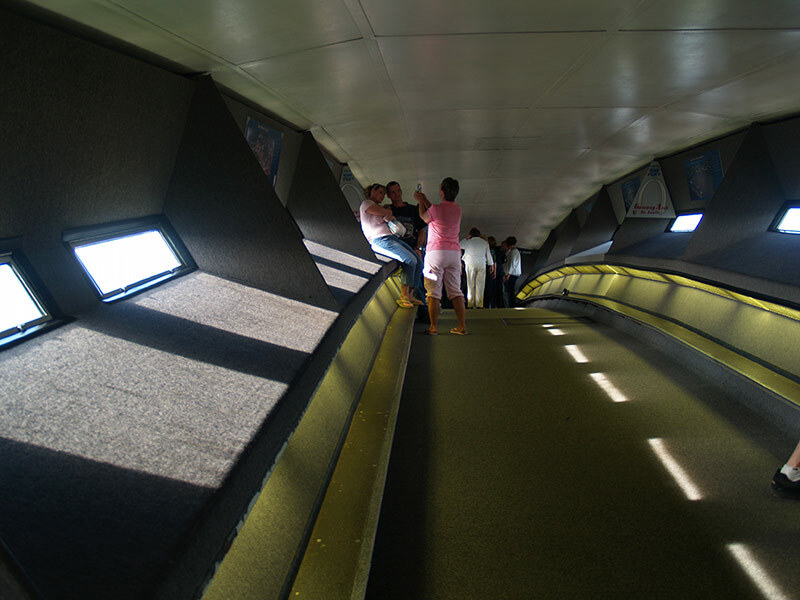 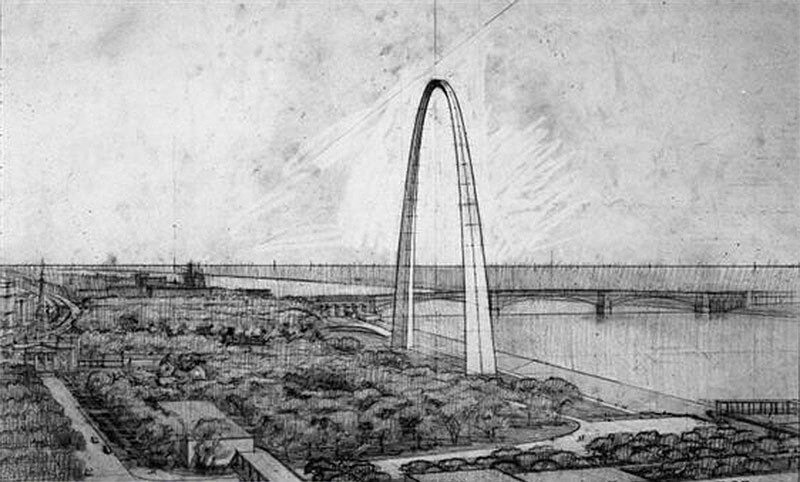 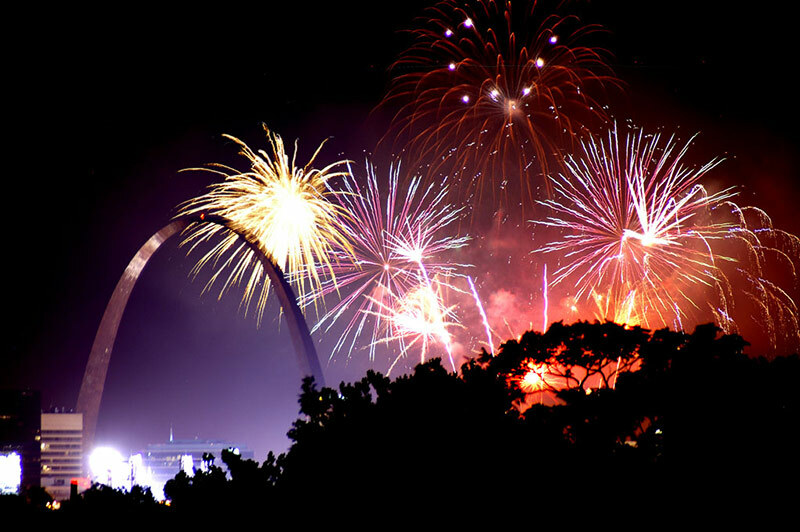 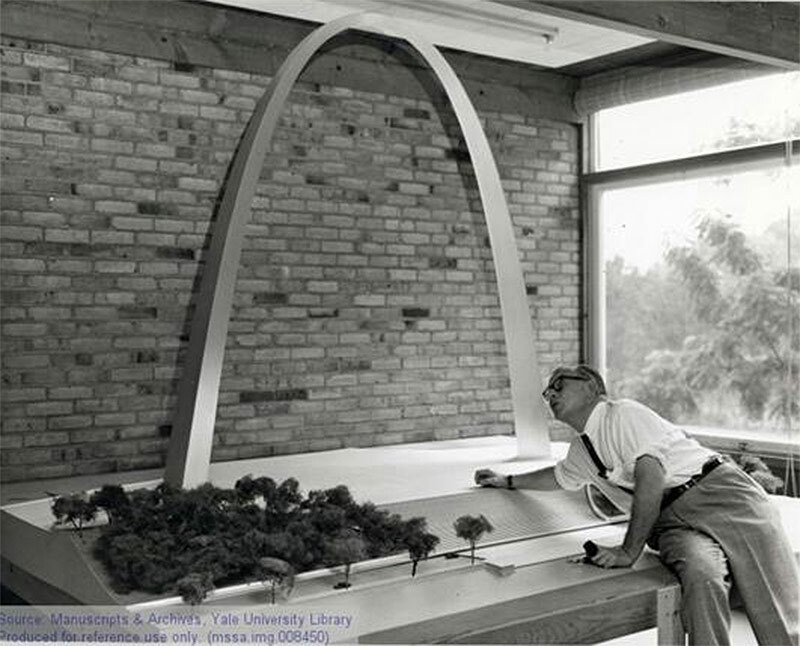 It took another two decades to get anything built, but on February 12, 1963, the missing slice of St. Louis began to change as ground was broken for Eero Saarinen’s famous Gateway Arch that still defines St. Louis in one dramatic gesture. The posthumous groundbreaking (Saarinen died in 1961) of the stainless-steel-clad catenary arch captured the nation’s imagination, and in December 1963, Popular Mechanics noted, “The Arch is America’s newest and highest national monument, and certainly its most unique.” It went on to correctly predict that “The majestic monument in gleaming stainless steel will be such a dominant landmark that it inevitably will come to symbolize St. Louis.” The article goes on to discuss the construction challenges that lay ahead as the two 630-foot-tall sides of the arch were built independently and had to line up at the top with a margin of error of only 1/64 of an inch. 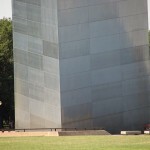 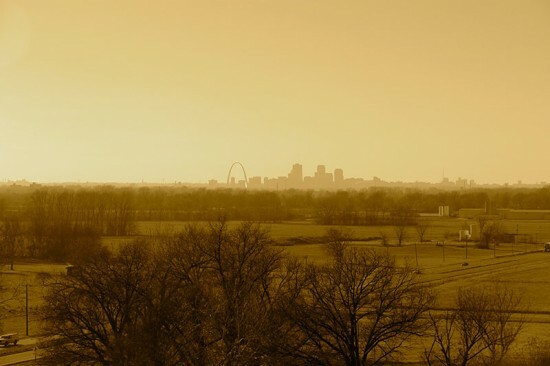 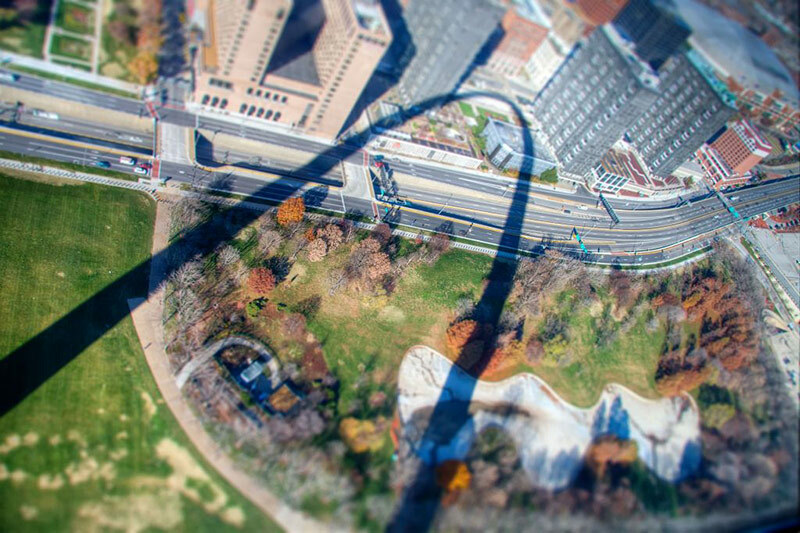 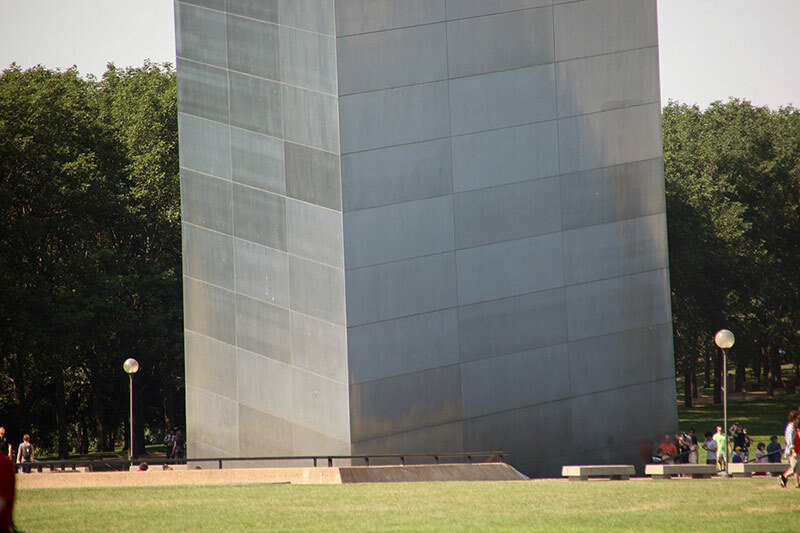 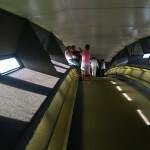 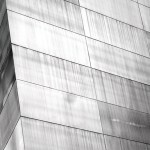 Today, leaders in St. Louis and at the National Park Service are hurring to complete the next chapter of the Gateway Arch’s history: remaking the landscape around the monument to better connect and engage with the surrounding city. 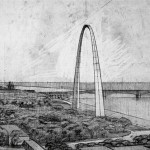 Michael Van Valkenburgh Associates’s design won following a competition in 2010, and later this month, CityArchRiver, the organization overseeing the redevelopment, will hold a public meeting to report on the latest news and updates.